It’s considered to be one of the most perfectly designed video game levels of all time because it introduces players to new gameplay concepts without an instruction manual. 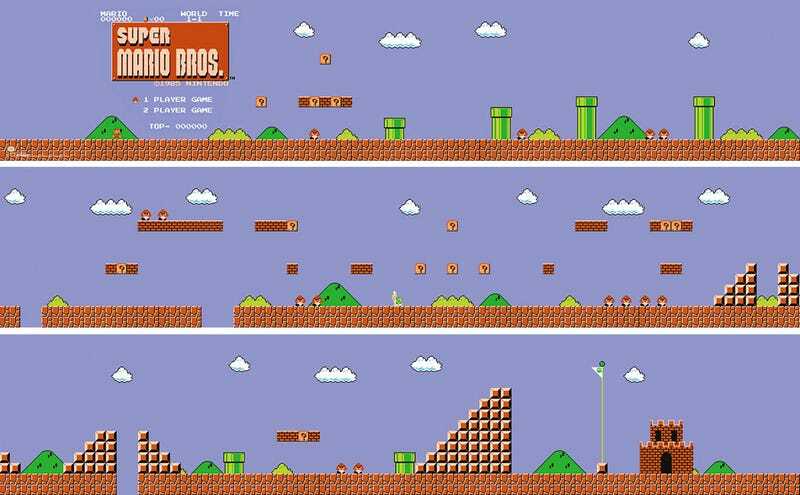 And if you have fond memories of Super Mario Bros.’ Level 1-1 (who doesn’t?) you can now immortalize it on your wall. When laid out in sequence, this five-poster set is 15-feet-long, recreating the entire first level of the game. It starts at the launch screen, ends at the castle, and includes every obstacle in-between. It’s just $13, which is a steal, unless you intend to get it framed which will require some custom craftsmanship that will definitely not come cheap.